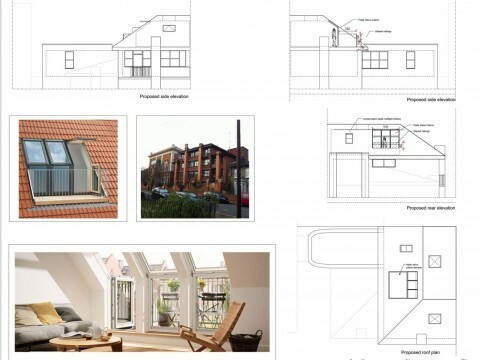 Alterations to create a roof terrace and installation of a roof light in south roof slope. 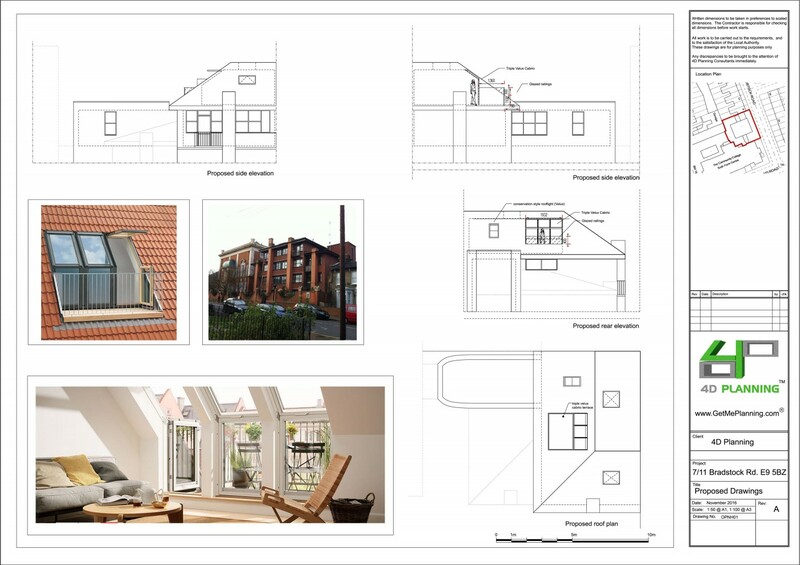 Assisting the client with obtaining planning permission for a roof terrace using a Velux Cabrio design. 4D Planning advised the client on all the relevant planning considerations and constraints, prepared the architectural drawings, statement and liaised with the council following the submission. 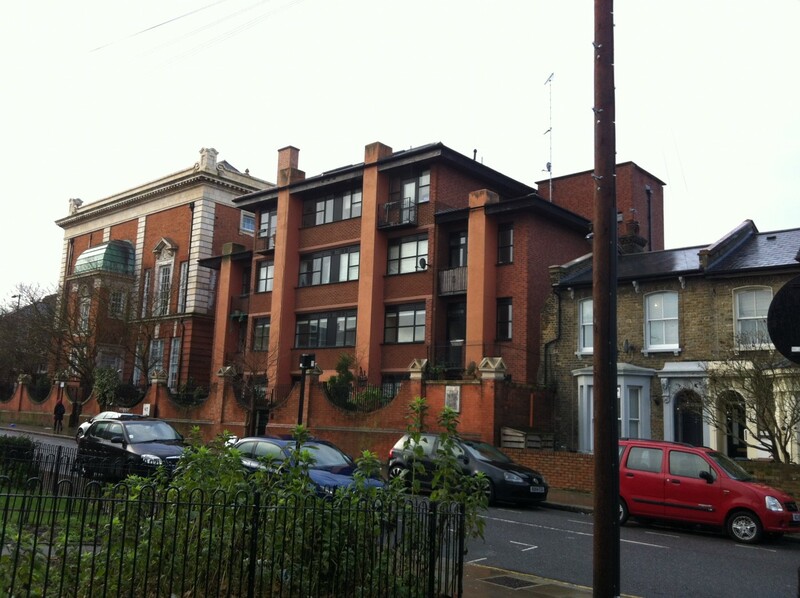 4D Planning were instructed to assist the owner of a top floor flat in a purpose-built block of flats to secure planning permission for an outdoor balcony or roof terrace. A number of designs and options were considered. The applicant decided to proceed with the Velux Cabrio design which provides outdoor amenity space in a sympathetic way, to reduce its visual impact on the surrounding properties. 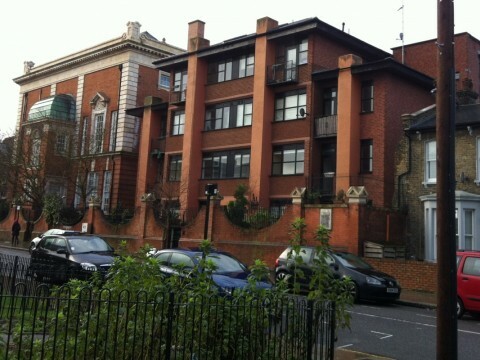 The proposed development was adjacent to a school and a listed building. 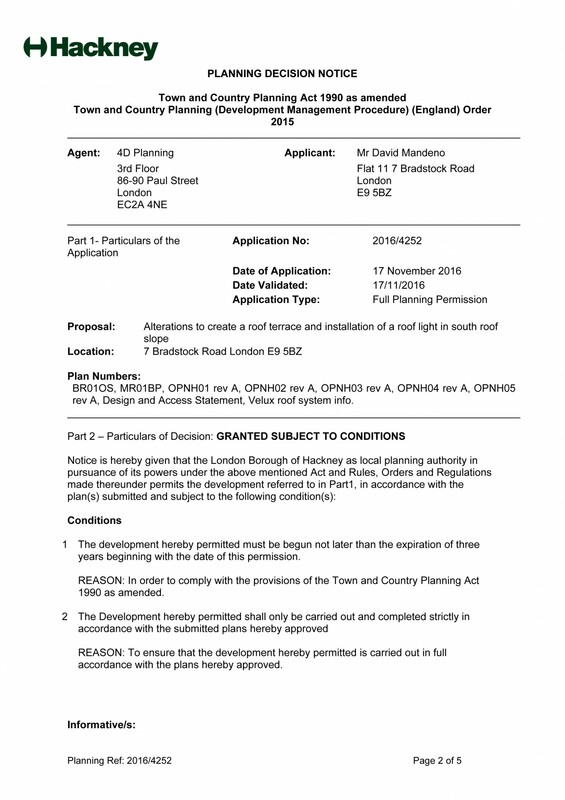 Following intensive and lengthy negotiations with the council, Hackney Council eventually granted planning permission.